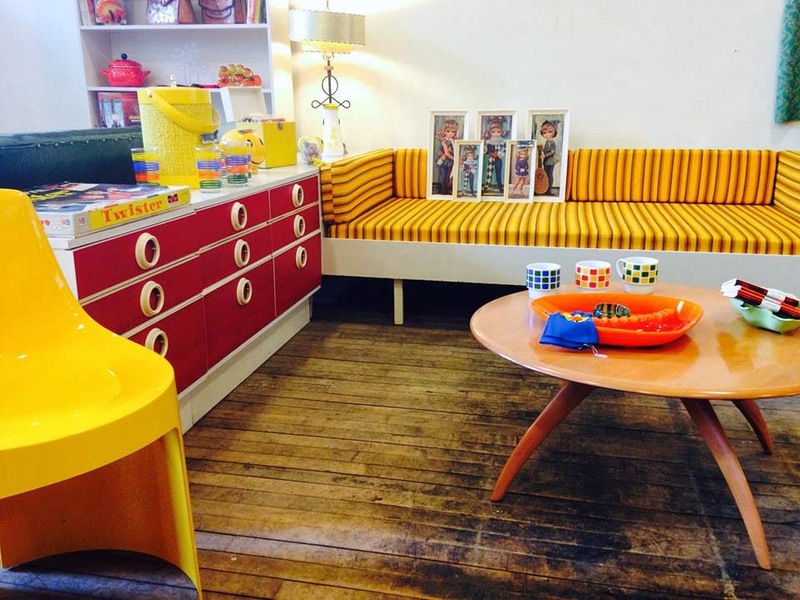 Mid-Century modern is an architectural, interior, product and graphic design that generally describes mid-20th century developments in modern design, architecture and urban development from roughly 1933 to 1965. They re-created the space so that it was very open. They didn’t want the space to draw you away from any of the pieces. “We wanted to leave it open for re-arranging at anytime. Everything in here is mobile and that’s what is fun about Miss Wonderful,” commented Tara. customer is, they may just walk into another world. If they’re an older customer they could be walking back in time to their life fifty years ago. 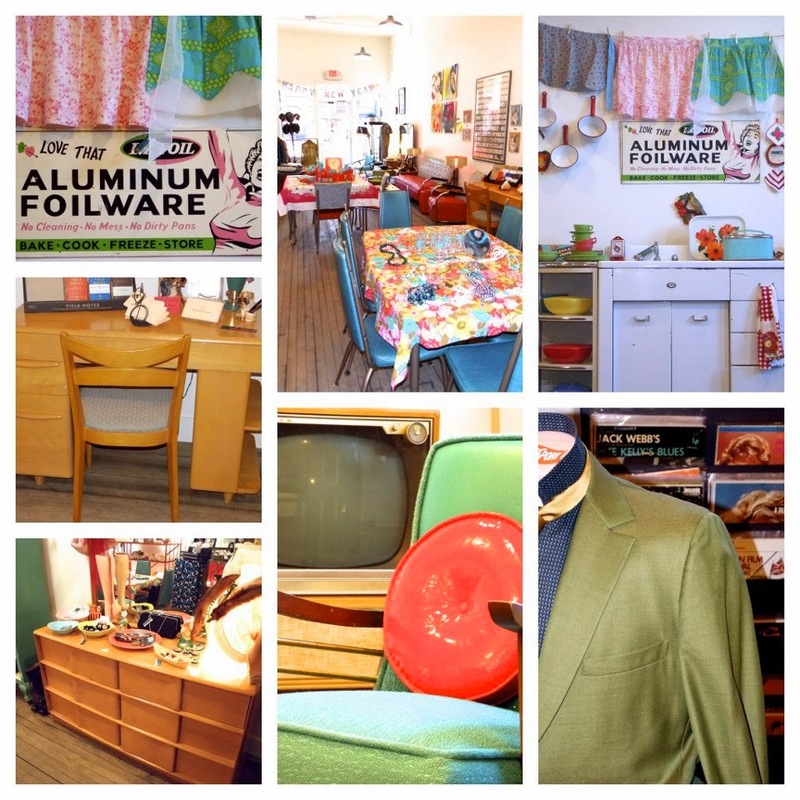 Many of the items in the store can be connected back to a memory of the past for customers. Part of the philosophy of Miss Wonderful is creating that emotional reaction to a piece. If Tara posts a picture of an item on their Facebook, many people will comment saying that they remember that from when they were a child. Back then people became so used to seeing the objects around them, and when they don’t see until twenty years later, it will bring back memories. For Miss Wonderful, Facebook is the most successful social media platform for the store. Their audience is 89% women and the ages range from junior high to the elderly. 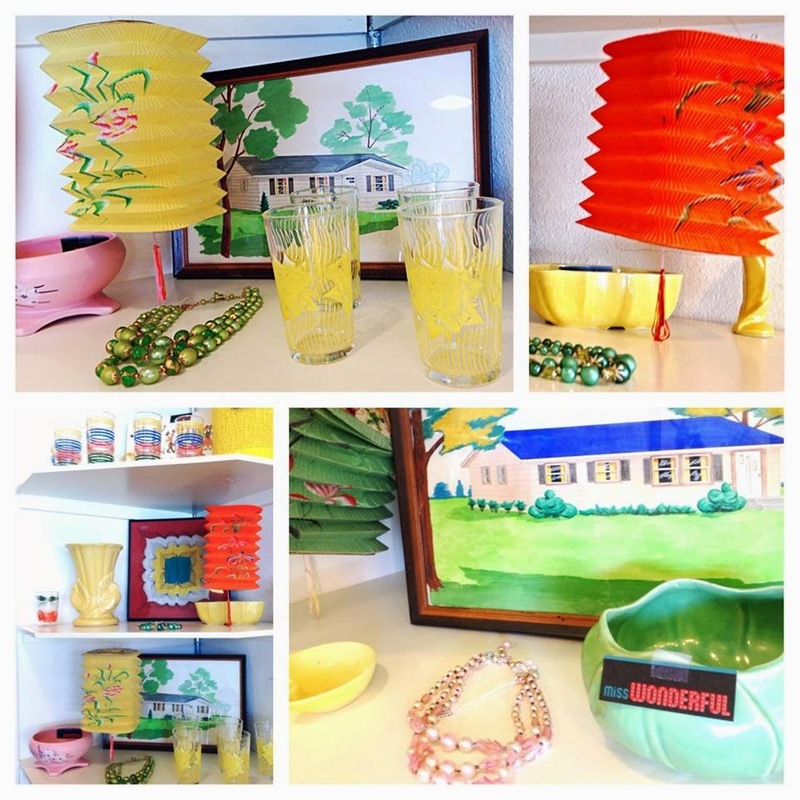 Many of the elderly customers are looking for the highly collectible pieces, while the young professionals are more interested in smaller pieces. At the end of day though, word of mouth is still their biggest advocate, especially in the antique/picker world. The people who travel all over the country looking for those rare items talk, and it helps when they talk about Miss Wonderful. Facebook has been the most successful in selling items as well. Tara mentioned that a majority of the items she posts will sell. “People feel a sense of urgency, when they see an item they want to buy. It could be the only item, so a customer needs to buy it fast or end up with “Vintage Regret”. 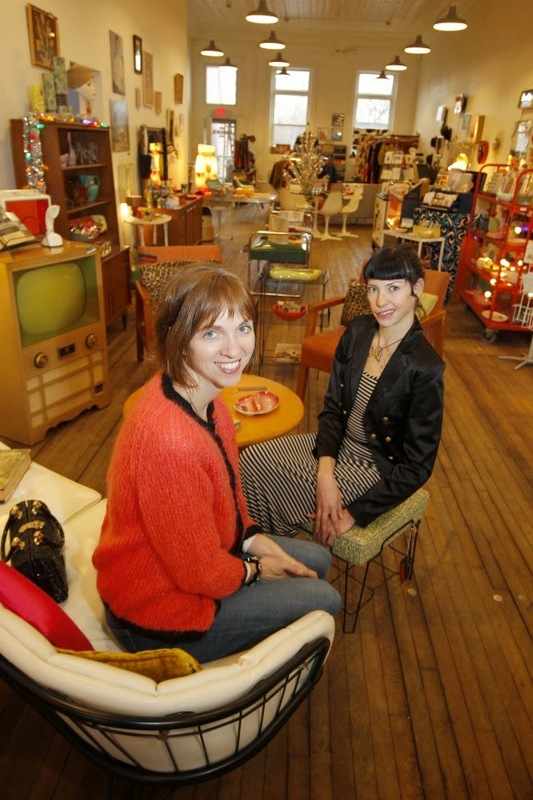 “This is a one of a kind store, we don’t mass produce,” said Tara. Tara has found that Craigslist and EBay have been the least successful platforms. She’s able to post more furniture items and to reach a larger audience in different states, but there can also be a lot of spam. The store has sold a few things on EBay, but it can be very time consuming and shipping furniture is complicated and costly. Tara has done some advertising on Facebook, mainly just to promote the page or the post. She’ll pick a small budget and go with it. She also does some advertising in the local newspapers. She hasn’t spent a lot of money on advertising, because great content will generate buzz on their pages. She also doesn’t have any sort of routine or schedule when it comes to posting things on Facebook. When she has something fun to share she does, she doesn’t stress over posting something every day. She feels that social media is fun and loves being able to build those online relationships. The con of social media is missing that face to face communication. She loves being able to see someone twirl in their new dress or see someone trying on a new suit for a job interview. The relationship built on social media is slightly impersonal. Tara is a self taught social media guru. She never took any classes; she just learned everything at home from trying it out. She dabbles in all the platforms including Facebook, Twitter, Pinterest, and blogging. She asked a few people for their insight, and is very happily surprised that Miss Wonderful’s social media is doing so well. “I believe that you can teach yourself, if you really want to know you can teach yourself,” commented Tara. She also taught the owner, Ann, how to engage on social media. Both women are creative and have an artist eye, which once again carries over onto their social media presence. In the future one of Tara’s goals is to help the items in the store extend their reach. She wants to extend their customer base outside of the Cedar Valley to Chicago or Minneapolis. She also wants to establish their website and blog. Miss Wonderful has been open a little over two years now and I feel their social media presence is doing great, when I asked Tara as to why their social media was succeeding she couldn’t think of one specific reason. “I love creating spaces and experiences, and I think that drive carries over to Facebook,” said Tara. Miss Wonderful is located at 216 Main Street, Cedar Falls, IA. They're open Monday - Saturday 11 a.m. - 5:30 p.m. For more information visit their Facebook or call 319-529-7293. 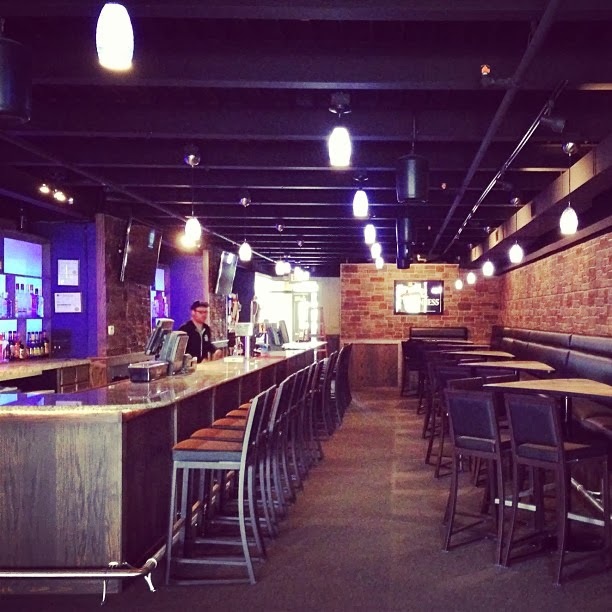 In the spring of 2013, UNI students started noticing that many of their friends had started liking or sharing content from the bar Social House. The bar hadn’t even opened yet and it had hundreds of likes from people all over the Cedar Valley. Social House had become the talk of the town and no one had even had a drink yet. 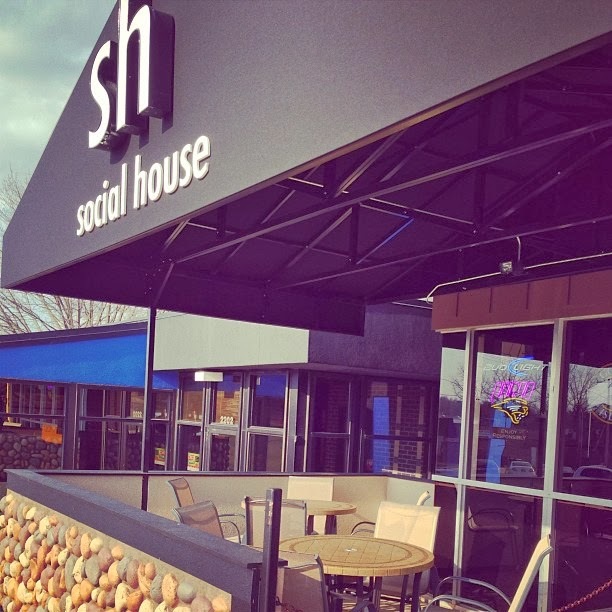 How did Social House become such a popular place without even opening its doors yet? A huge part of its success should go to Kyle Dehmlow, manager of Social House. I sat down with him the other night to ask him about his social media philosophy. 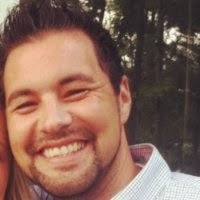 Kyle grew up in Denver, Iowa and attended UNI for theatre. During college he worked in the bars doing entertainment, promotions, and acted as an MC a lot of nights. Kyle worked at Club Shagnasty’s, which was one of Cedar Falls first night clubs. After making a move to Cedar Rapids for a few months, Kyle moved back to Cedar Falls and was offered a management position at a new bar opening on the The Hill. Before Social House even opened Kyle had the vision of a social place. “The bar is specifically set up so social interaction is easy. We wanted people to come out, meet people, and hang out with friends,” said Kyle. 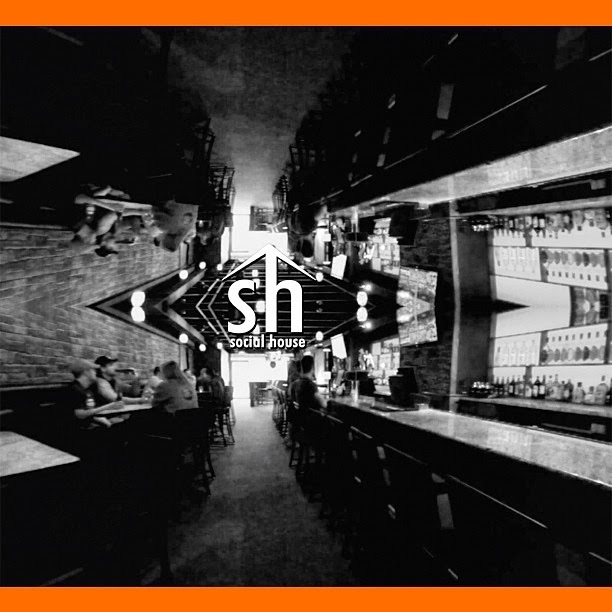 Promotion for Social House began before the doors even opened, but it happened in slow stages. To build curiosity they released pictures of drinks and the bar. They made sure not to release too much information so people wouldn’t judge it too early. As they got closer to the opening of the bar they stopped with the visuals, until a week before the opening they released a quick 50 second Youtube video giving an overview. The organic marketing worked very well, because there was a line outside the bar on opening night. Since Social House opened almost a year ago, their main social media platforms have been Facebook, Twitter, and Instagram. As of today, they have 1,252 Facebook likes, 889 Twitter followers, and 323 followers on Instagram. Kyle is the voice of Social House’s social media. He is the only person who posts on all three platforms. He prefers doing it this way so the voice stays consistent. He does have Facebook and Twitter connected, which is usually the biggest no when it comes to social media, but this way it’s easy for the twitter followers to read specials that are over 140 characters. Kyle doesn’t like to post on Facebook more than twice a day. The hardest part is changing up his ways to post the daily specials. He doesn't want to bore everyone, so he tries to post visuals to help. In the beginning, he did use some Facebook advertising before they opened and it did okay. The biggest advantage of their Facebook likes is that they are people who have actually been to the bar, they’re not paid likes. Twitter has actually been the most successful platform for Social House. The biggest reason is because they are so responsive. “I do a lot of stalking,” laughed Kyle. He does a lot of searching to see what exactly people are saying about the bar. “If people are having a good time, they want to promote where they are. It works out well for us,” commented Kyle. He has found no point in using traditional marketing because he can’t factor the return. “We could put money into local television commercials, but then how do we determine that those commercials are what brought them in the door? The only money I put into social media is my time. I would rather reward my customers with a free drink than a commercial that says we’re cool. I would rather promote true experiences,” stated Kyle. On a personal note, I know from experience that Social House will respond if you tweet to them. 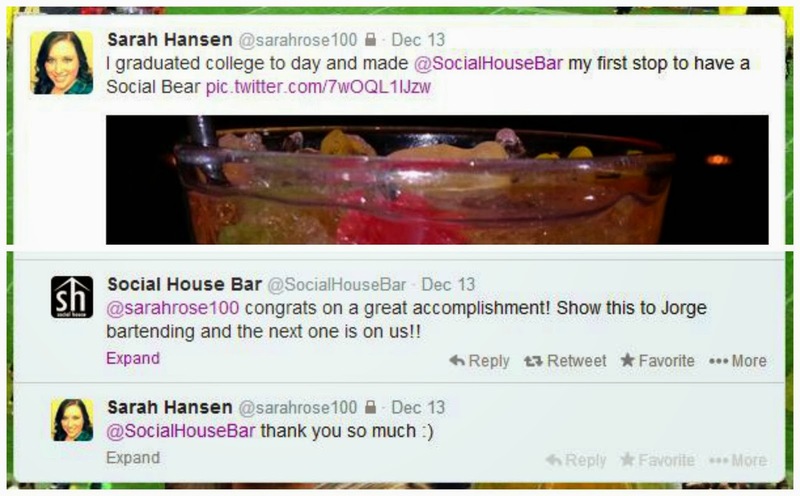 My roommate, Sarah, graduated from college in December and to celebrate she went to Social House to have one of their signature drinks, a social bear. It’s interactions like the ones to the right that keep people coming back to Social House. On the bright side, Kyle said there haven’t been a lot of negative tweets about the bar. He spoke of an example of where someone tweeted that Social House sucked, and it turned out that dart board was broken. A simple fix. There was also a time when a customer tweeted that the drinks at Social House were watered down. Kyle was able to track down the customer and found that they were drinking a vodka water. So he bought the customer a new drink, and then the customer’s next tweet was about how amazing the bar was. 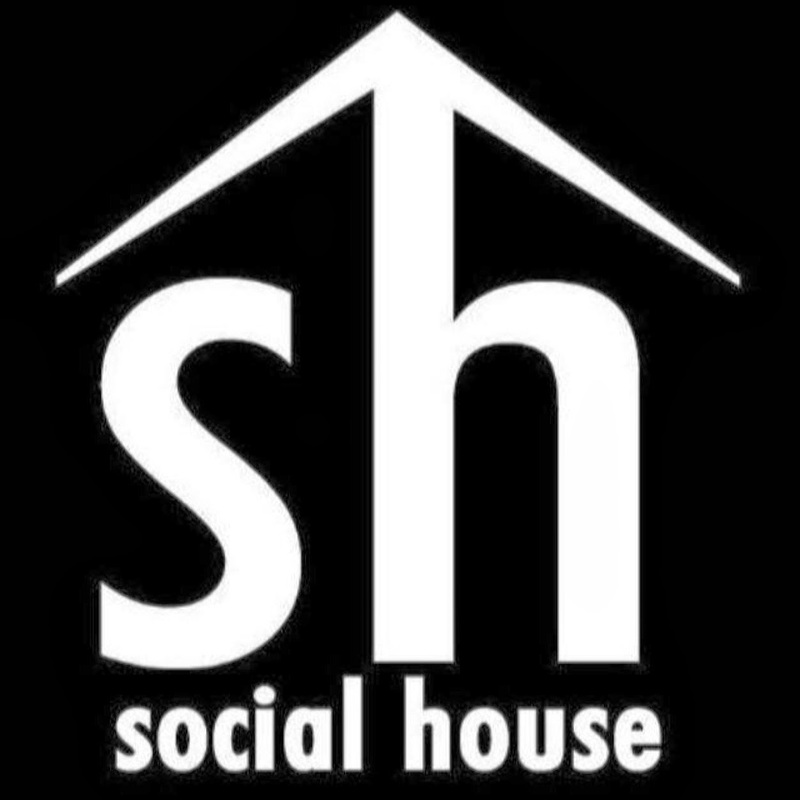 The fact that Social House will actively seek out an unhappy customer and try to solve the problem, shows the commitment they have to the success of the bar. 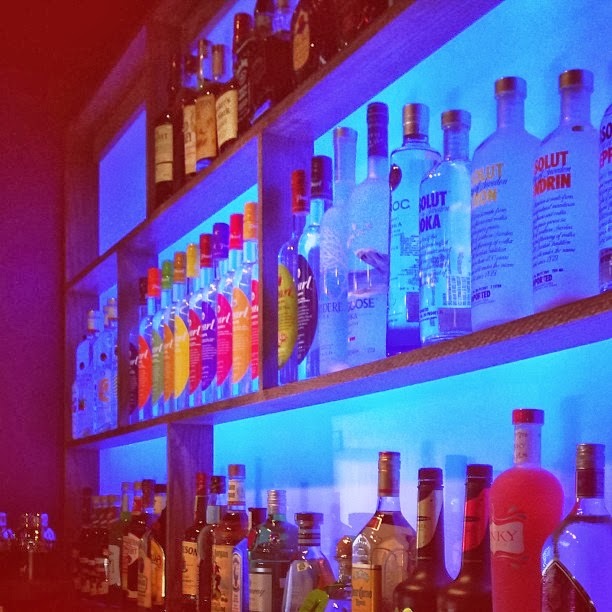 Instagram has also been a successful platform for the bar, mainly because the bar itself is so stimulating and so are the specialty drinks. A lot of times the post is a collage of all the drink specials or even a collage of various customers. 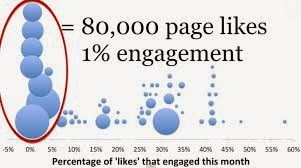 Nowadays, pictures are what seem to generate the most engagement. Kyle tends to focus more of his time on Twitter and Instagram, because no matter what he posts it will show up on all his followers news feeds. Unlike on Facebook, who tends to be selective on what will show up in your news feed. When it comes to promoting events, Kyle said that it can be tricky when using social media. Sometimes a tweet can’t encompass everything you want to say about an event, so he has to link it to Facebook. Before he would try to plan ahead weeks before the event, and then it would lose its buzz. Nowadays, he can give the event a couple days of promotion and it will be a success, because attention spans don’t last as long anymore. Their events also help them to give back to their customers. They've held a couple parties for reaching goals, such as 1,000 Facebook likes. They also do a lot of raffles where they give away party buses or concert tickets to Justin Timberlake. There are some events that didn't do so well, such as opening the Sunday before Martin Luther King Jr. Day. (They’re usually not open on Sundays) Kyle said that Friday and Saturday of the weekend went really well, but Sunday was somewhat of a flop. He stated that events can’t be held too closely together otherwise it just becomes too much for people. One of the biggest issues with social media is privacy. They are some people who don’t want to be in pictures taken at bars, especially when employers seem to be looking at everything nowadays. Kyle said that when they first opened and did the Tag it Tuesdays, he would make sure to ask people. Tag it Tuesdays was a promotional event where they would post pictures of people who were at the bar on a Tuesday, then that person would either tag themselves or a friend would. The person would then be entered in a weekly drawing. But, it was important that he asked people if they were okay with their photo being posted because not everyone wants to be out and promoting drinking. There are also certain lines that Kyle won’t cross such as calling people out, talking down about other businesses, or utilizing their customer base to bad mouth something. “It is not our job to worry about everyone else; our job is to worry about our bar and our customers. We don’t want to demean our customer base,” commented Kyle. As far as the future of Social House and their social media, Kyle said he is always looking for the next platform to use, but you won’t be seeing Social House on Tinder anytime soon. He will keep progressing with the times with signature drinks and events that create buzz. The goal is to get a good drink at a good price. Kyle always knew that the bar would be active in social media, but it has definitely helped the success of the bar. 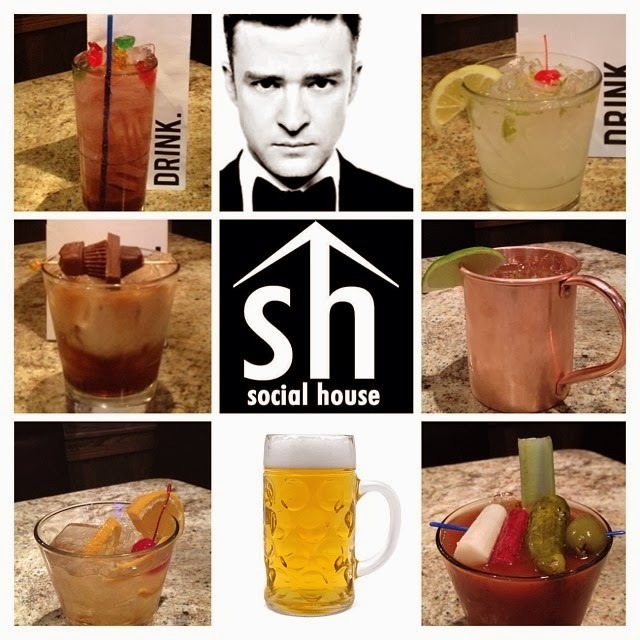 He didn't intend for Social House to become a social media bar, but because he used social media wisely and engages with his customers, it has become one of the hottest bars on The Hill in Cedar Falls. Social House is located at 2208 College Street, Cedar Falls, Iowa. They're open Monday-Saturday from 4 p.m. to 2 a.m. For more information visit their website or call them at (319) 266-3662.